ALL THE REGISTERED CANDIDATES SHOULD THEIR RECIPTS / TICKETS. THE EVENT IS FOR TWO DAYS ( 30 TH JAN 2016 AND 31ST JAN 2016). 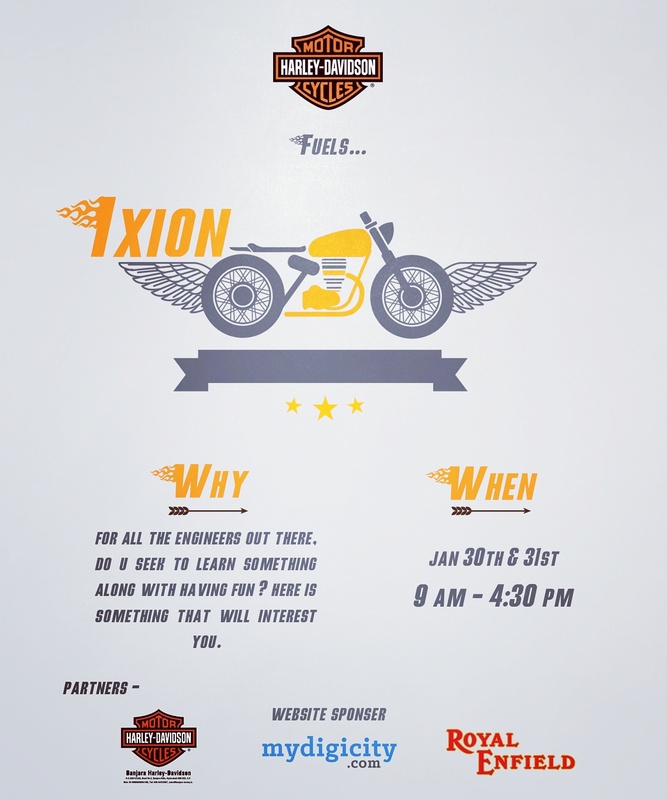 It is our honour to present to you IXION 2016, the first of its name powered by HARLEY DAVIDSON, MYDIGICITY, ROYAL ENFIELD, this event aims to attract interests of all aspiring engineers of various fields. hotel. We hope a great response to IXION 2016, for a lot is to be uncovered and rediscovered.